… was founded in 2001 by Elfie Konrad. Elfie was formerly Examinations Manager of the British Council in Germany, and has long experience of working with universities and professional institutions in Britain and other countries, including Australia, New Zealand and South Africa. She is also an Inspector for the University of Cambridge ESOL examinations in Germany, The Netherlands and Luxembourg. At Examinations International we lay great emphasis on security, and reliability. All examining boards with whom we work can be confident that their examinations are organised and administered exactly according to their individual regulations and requirements and that their students, whether individuals or large groups are offered an efficient and friendly service in the planning stage and suitable conditions in which to give their best possible performance during the examination. In 2009 Examinations International organised and administered over 1,720 examinations as well as recruitment assessment tests for British institutions. 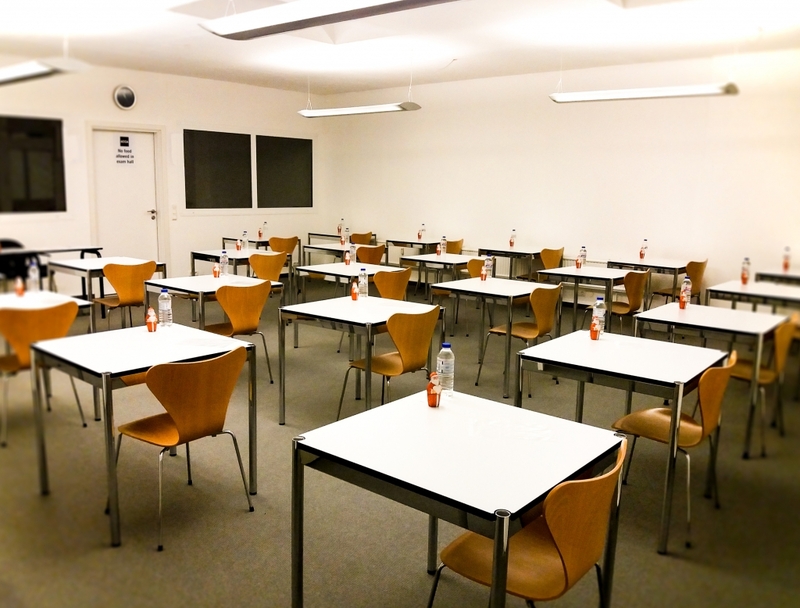 Our fully equipped examination centre is situated in central Cologne, a city with excellent rail, road and air connections from all over Germany and neighbouring countries. Our premises can be reached on foot from the main station (c. 15 minutes) or by regular local train from Cologne/Bonn Airport (c. 20 minutes). Those wishing to drive to the Centre will find a parking space in one of the several multi-storey car parks within walking distance. For more detailed information on how to reach us, please click here.